Born in Ottawa in 1963, Earl has been resident of the Kemptville area since 1977. 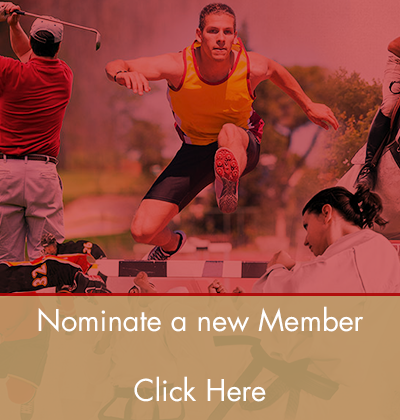 Earl has been a student, participant, referee, coach, organizer and patron for the sport of Karate since 1992. 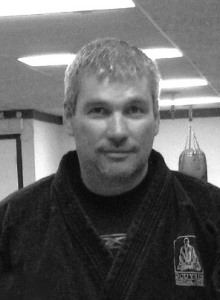 He has been the owner/operator of the Kemptville Douvris Martial Arts since 1997.In addition to running his professional dojo, he gives freely of his time to those athletes requesting extra training to prepare for competition and has travelled with his students worldwide to support them in tournaments. Earl has not only produced world class competitors, but these athletes have consistently brought home gold medals for international events. In addition to winning, his local students have conducted themselves as responsible, caring individuals and have represented the community proudly, thanks in large part to Earl’s leadership. It is indeed a testament of his commitment that Earl’s dojo continues to be a vibrant part of our community serving in excess of 100 students and as many cardio kick-boxers. As an example to his students, Earl continues to train daily and has achieved his fourth Dan. He maintains the balance between sportsmanship and competition, passing on these traits to his students. He only asks of his students what he asks of himself and remains an inspiration as to what can be achieved by commitment and honest hard work.